DID YOU KNOW? About seven people in the United States die every day in a home fire. 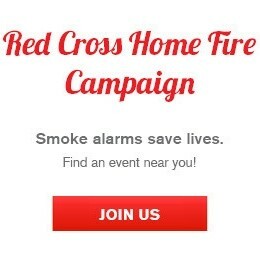 You can help us stop home fire deaths. Join us on Nov. 5 in Santa Ana as we install free smoke alarms for residents in need to help keep #LovedOnesSafe. We are especially looking for bilingual volunteers who can provide information to Spanish-speaking residents. For more info or to register, please visit:http://tinyurl.com/2016HomeFireNov5 or contact Madelyn Spiegelberg at madelyn.spiegelberg@redcross.org or (714) 481-5333.